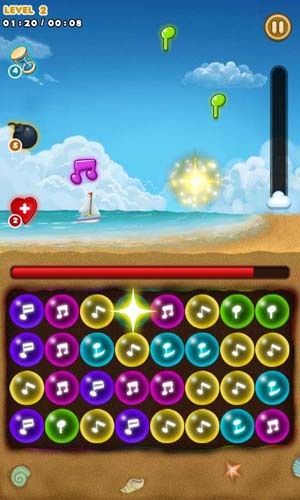 "Music Pop" is new and amazing music rhythm matching game! Just tap to play! Once you pop, you can't stop! Are you ready to challenge? 1. Tap the same musical notes to eliminate the falling musical notes . 2. Four or above same musical notes can generate magic effects. 3. If you miss any musical notes will reduce the life value. - Lovely graphics and amazing game music. 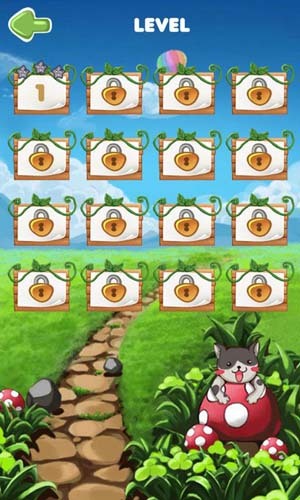 - 3 game scenes and 52 levels waiting for you to challenge. - Perfect run all android phones and tablets. 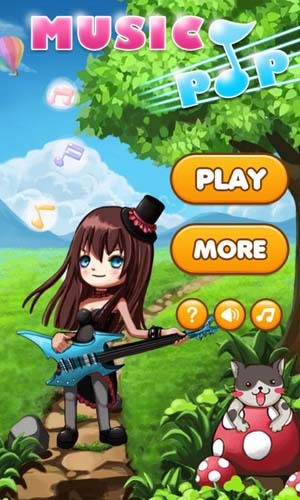 Tags: music rhythm game, music pop star.